Mostly Books bookshop in Abingdon : Too many books! working out how the price gun works for non-book items. getting in a blue funk 'cos the Gaggia is dispensing coffee that we can't, in all honesty, sell because it tastes foul. However, these are very minor grumbles. We are still having a great time in our honeymoon period. And despite some doubts posted in response to our last blog about the wisdom of "cooks and books" it is at least proving a novelty amongst a significant number of customers who seem to like the concept. We're monitoring it closely however. We experimented with late-night opening tonight (Thursday), to be rewarded with a sale of the Hairy Bikers Cookbook at 8.30pm (I would have been in the shop anyway, and the people who bought it were a delight to serve). As complete novice booksellers, one thing that is very disconcerting is the hole left after you sell a book. 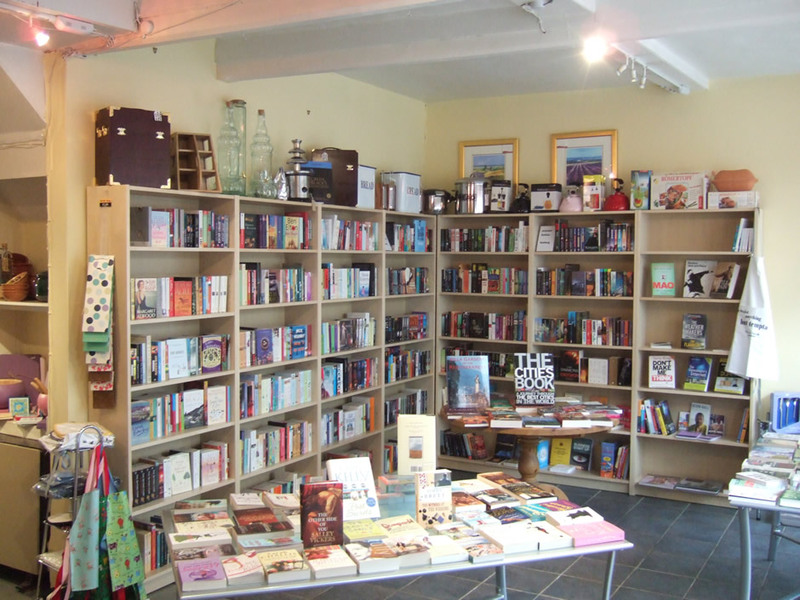 We have worked very hard over the last few days to use face-out boxes, shuffling up authors to have the shelves looking good, and then the books get sold, and you have to shuffle everyone up again. Then more books come in. I'm sure this Sisyphean challenge is well appreciated by other booksellers. I've come to see it as an opportunity for some of our lowlier books to have 'their chance' once others are sold. We now officially have "too many books". Two more bookshelves are going up, but we are now going to have to exercise extreme discipline to stop ordering large numbers of new books, and start intelligently selling what we have. We have also well and truly entered the sometimes strange world of "customer requests". I thought we'd share some with you in the hope of advice and recommendations from the blogosphere: 1. 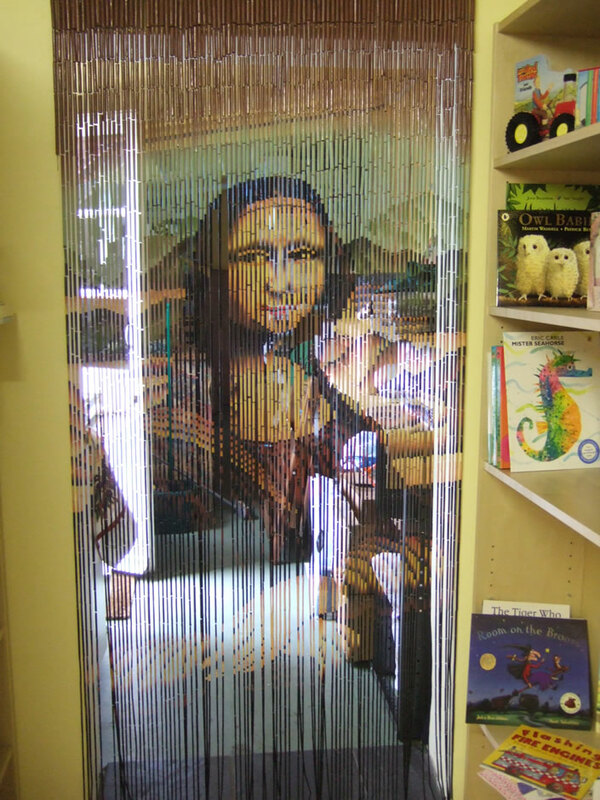 Customer listened to Sandy Tostvig on Radio 4, and there was a book "confession of..." but that's as far as she got. Anyone know what book was discussed? The website didn't yield anything. If you type "confessions of" into the Gardners system you get some very exotic possibilities. I'm sure Sandy wouldn't discuss *those* on radio 4... 2. Customer has requested help to find a book that has detailed instructions on how to prepare cuts of meat. Hugh Fernley-Wittingstall perhaps? 3. Customer has a 15 year old boy who is a reluctant reader. His teacher had suggested getting hold of a book containing short stories from classic authors that can be read in one sitting (a story, not the whole book). He's very into computer games. This last one is quite important. I was a reluctant reader at school (I used to read the first two chapters and then get my mates to tell me what happened) and the intervention of a few key people got me back into books. Anyway - Nicki and I will endeavour to sort the coffee machine out tomorrow. 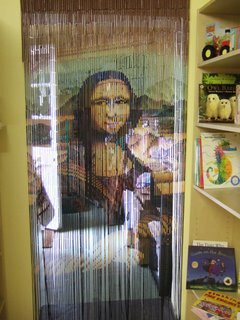 In the meantime, here's how the shop is looking after the book sorting (and our mona lisa curtain into the stock room which has suffered a lot in the last week and may have to go): P.S. BT royally screwed up the broadband installation today. They went to the wrong address on Stert Street. The engineer actually came round to apologise, but because the address didn't match his paperwork he couldn't do the line installation. Several calls to BT later, no-one seemed able to rectify the error. Smashing. I caught the end of Sandy Toksvig on A Good Read, Radio 4 a few weeks ago might this be the one? Confessions of a Failed Southern Lady by Florence King. as a bookseller of 28 years in a small town in Canada, I can't tell you how much i've enjoyed being part of your store opening. your enthusiasm is infectious and i'm sure your new business will be a great success. you have all the right qualities--i'm thinking particularly of your tenacity and persistence here--to make a living/life in your chosen field. congratulations! Thanks so much - both for the help with the confessions (I'm sure that's the right one - you are utterly brilliant) and with all the kind comments. We're getting the hang of books (we think) and have to stop ourselves giving a big whoop if something we liked but thought a little risky is sold to one of our very discerning customers. But coffee is foul and definitely off the menu at the moment. 1) Deep Water by Ann Turnbull (I've just remembered it's gone out of print, but I know the author and may be able to help). Its a beautifully written book by the author of No Shame No Fear, which was shortlisted for both the Guardian and the Whitbread children's prizes a couple of years ago. It's a deceptively light story (around 100 pages or less) about two boys who play truant. Brilliant issues about friendship, loyalty, parenting, but done in such a way that the story can simply be read as an adventure and a dilemma! I think its strength is that the writing is SO good it can be enjoyed by reluctant readers AND people like me who read all the time! 2) Holes by Louis Sachar. See wenlockbooks.blogspot.com to see what our children's reading group thought of this. It's very, very good. If you can get it, try Guys Write for Guys Read edited by Jon Scieszka. It is targeted for 9-12 year-olds, but might still do for a reluctant reader. It has short stories by a wide range of authors, incliding Neil Gaiman, Brian Jacques, and Steven King. For more info, here's a website: www.guysread.com.